In the 14 weeks since 31 August, eight people who had been sleeping rough have died. 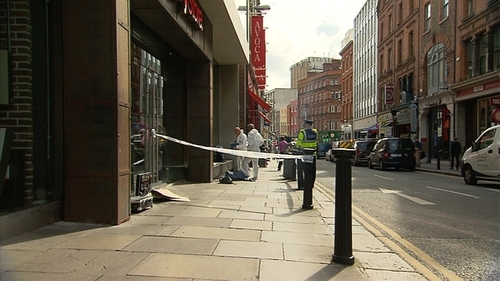 Stephen 'Jack' Watson was found unconscious on Suffolk Street in Dublin city centre. He was 51 years old. Jennifer Dennehy, 30, was found unresponsive in this tent in Gilabbey Park on the southside of Cork city where she had been sleeping. A 41-year-old man sleeping rough at the Old Courthouse on Boghall Road in Bray, Co Wicklow, was found unresponsive in his tent. A 23-year-old man was found unconscious on Mill Lane in Drogheda, Co Louth. He was pronounced dead in hospital. A man in his late 30s, known to the homeless services, was found in Adair Lane in Temple Bar, Dublin. A Lithuanian man in his late 30s was found unresponsive outside the Four Courts in Dublin where he had been sleeping. He had been accessing homeless services since 2013. A man in his late 50s was found unresponsive in his tent in Ranelagh in Dublin. He had been using homeless services since 2010. A woman in her 40s was found on a street in Cork city centre. The woman's body was found close to the Anderson's Quay emergency shelter run by Cork Simon Community.